A Supreme Court bench headed by Chief Justice H.L. Dattu has provided 6 months time to the Centre to decide within six months on setting up a National Court of Appeal (NCA) with regional benches in major cities to hear appeals against orders of High Courts. The writ petition was filed by Adv. V. Vasanthakumar, for issuance SC gives 6 months time to Government for decision on establishment of National Court of Appeal of a writ of mandamus directing the Government, Ministry of Law and Justice and the Supreme Court of India for a full fledged consideration of his prayer and implementation of the suggestions of the apex Court to establish a National Court of Appeal with regional benches in major cities in India as observed in the Judgement reported in Bihar Legal Society v. Chief Justice of India in 1986, in a manner known to law within a time frame to be fixed by the Court, the issue being one of general public importance. The petitioner suggested that the NCA would absorb the cases which are pending in the Supreme Court of India being matrimonial, rent control, labour, service, land acquisition and other such like cases. These cases would belong to the exclusive jurisdiction of the Courts of Appeal which would be established in the four regions of the Country. The Chartered High Courts themselves could be the seats of these Courts of Appeal which would be manned by judges of the same stature as the judges who would otherwise be elevated from the High Courts to the Supreme Court or half of the Judges of the apex Court may be transferred to the NCA. 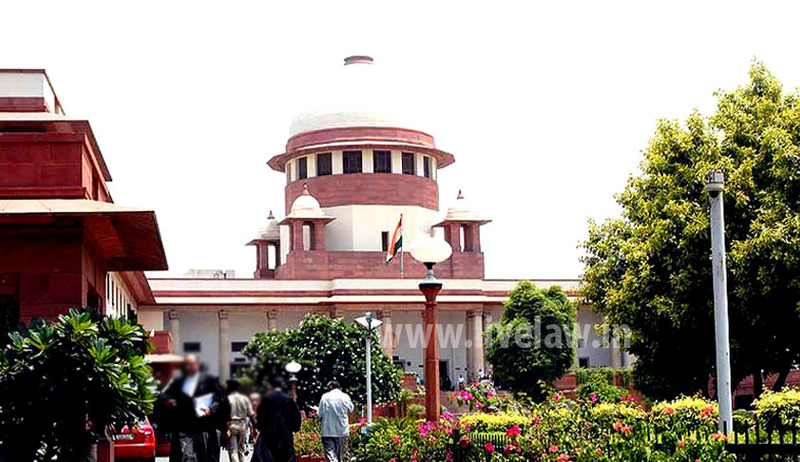 The Supreme Court would then be left with only those cases which would fall within the true jurisdiction of the Apex Court of the country, except if the NCA infers that a particular case deserves to be decided by the Supreme Court and cases in which already leave was granted by the High Court under Article 134A of the Constitution of India. The NCA would finally decide all cases arising from the High Courts and it would exercise the powers which are being exercised by the Supreme Court under Article 136 of the Constitution of India. The Supreme Court would entertain appeal from the High Court restricting the scope of Article 136 to cases involving constitutional issues, validity of Central and State laws, difference of opinion between the High Courts or between the Courts of Appeal and Presidential references and suits between the States or States and the Centre and Writ Petitions under Article 32 of the Constitution of India. In the case of Bihar legal Society, the Constitution bench had observed that the Supreme Court was never intended to be a regular court of appeal against orders made by the High Court or the session’s court or the magistrates. It was created as an apex court for the purpose of laying down the law for the entire country and extraordinary jurisdiction for granting special leave was conferred upon it under Article 136 of the Constitution so that it could interfere whenever it found that the law was not correctly enunciated by the lower courts or tribunals and it was necessary to pronounce the correct law on the subject. The Law Commission of India under the Chairmanship of Justice K.K. Mathew, in its 95th report recommended that the Supreme Court of India should consist of two Divisions, namely; (a) Constitutional Division, and (b) Legal Division. Again in the 125th report, apart from vouching the recommendations made in the earlier report viz., 95th report, the Law Commission after taking in to consideration that the Supreme Court sits in Delhi alone, made a recommendation that a Federal Court of Appeal be established with Benches in places of North, South, East, West and Central part of India for the convenience of the people from distant places like Tamil Nadu in the South, Gujarat in the West and Assam and other States in the East have to spend huge amount on travel to reach Supreme Court. The petitioner is an advocate practising in the High Court of Madras. Being a student of Constitutional Law, he was undertaking a practise of comparison of the Constitutions of various countries with India, during which he came across the judgments and reports concerning the needs for establishment of a National Court of Appeal with regional Benches. Highlighting the practicalities and hardships, the petitioner submitted that establishment of a “National Court of Appeal” as suggested in the case of Bihar Legal Support Society would rectify the inequality state of affairs inasmuch as the said National Court of Appeal would have benches in all possible regions of the country. This would considerably reduce the cost of litigation and would enable the litigants to have the services of the Lawyer who appeared for them before the High Court.